We at Magic Carpet Cleaning now provide professional steam cleaning services in W1A and our local cleaners can deliver a service even on short notice. We only employ fully insured, qualified and trained W1A carpet technicians. Our team uses the most advanced and efficient hot water extraction equipment. Thus we guarantee you 100% clean satisfaction with our work. In the unlikely event of you being less than satisfied we re-clean the area with no questions asked. Call us right now on 020 8861 0979 and book our expert carpet cleaners and you will be amazed by our work! For exceptional carpet cleaning services in W1A, you can rely on Magic Carpet Cleaning. 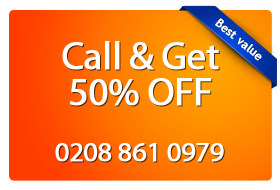 We’ll also give you free no obligation carpet cleaning quotes and advice, just give us a ring on 0208 861 0979!